The Compact Partnership Strategic Framework and Action Plan runs from 2015 to 2020, with the Action Plan being reviewed regularly. Edinburgh Compact Partnership from Screen Education Edinburgh. 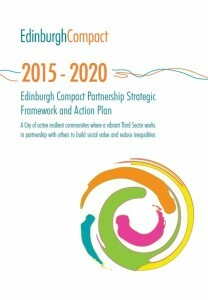 The current Social Enterprise Strategy and the Volunteering Strategy sit within the Thriving Third Sector strand of the Compact Partnership Strategy and Action Plan.